Head of the Roscosmos State Corporation has recently confirmed that the first test flight of Russia’s next-generation spacecraft, called “Federation”, will take place in 2021. The spacecraft’s maiden orbital mission will see its unmanned version launching from the Vostochny Cosmodrome in the country’s Far East. "The first launch of an unmanned version is planned in 2021," Igor Komarov, the Director of Roscosmos, said during a meeting dedicated to the construction of Vostochny. Currently under development by RKK Energia, the Federation spacecraft is planned to by completed by 2021. Besides the first test flight, one uncrewed mission, as well as one test mission of a crewed variant of the vehicle are scheduled for 2023. RKK Energia has lately tested the spacecraft’s crew-machine interface elements on a unique ergonomic simulator in May 2016. During these tests, the company checked out launch, insertion, autonomous flight, and docking processes. The engineers also examined the flight phase toward an orbiting space station as well as circumlunar trajectories. Federation spacecraft will measure some 20 feet (6.1 meters) in length and have a mass of approximately 14.4 metric tons. It should be capable of delivering people and cargo to the Moon and to space stations positioned in a low-Earth orbit (LEO). 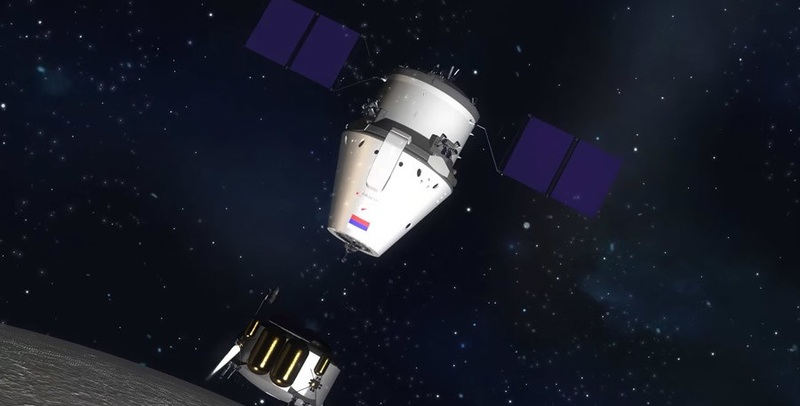 The spacecraft will replace the country’s flagship Soyuz vehicle and the cost of its development is estimated to be about $734 million over the next six years. An Angara-A5P heavy rocket will be used to deliver the Federation spacecraft into orbit. After launch, the capsule will be able to operate autonomously for up to 30 days, with the possibility of staying attached to the ISS for up to one year. In June 2016, Roscosmos revealed a bold plan to send cosmonauts to the Moon aboard Federation, on a regular basis as soon as 2025. The officials announced that the spacecraft could carry out one or two manned launches yearly in order to transport humans to lunar orbit. This ambitious plan includes manned landings on the lunar surface and sending cosmonauts on a trip beyond the Moon’s orbit to the so-called Lagrangian points.